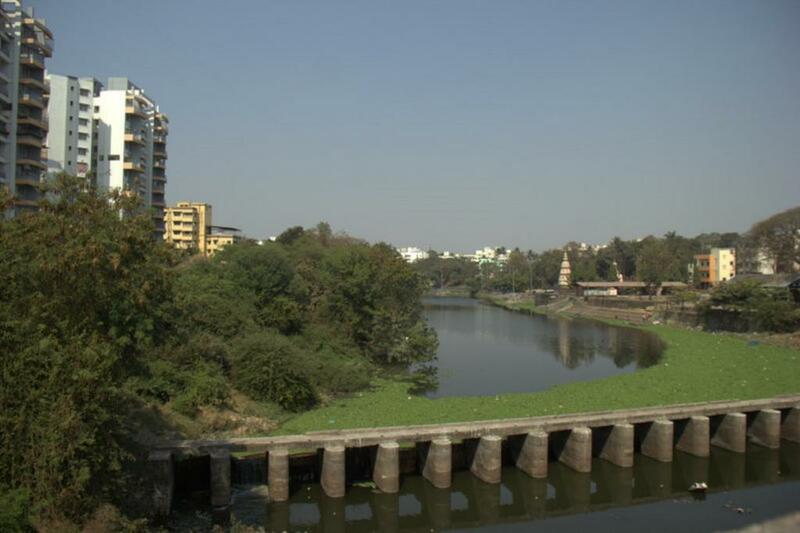 The Pavana and Indrayani rivers under Pune’s Pimpri Chinchwad Municipal Corporation (PCMC) are set to get a makeover. The question arises if this will only be a cosmetic makeover or one that will affect the rivers’ ecological system and services. HCP Design, Planning and Management Private Limited — the consultants appointed for this task by PCMC — made a presentation before concerned citizens, activists, elected representatives and experts on January 29, 2019. HCP has executed the riverfront development project on the Sabarmati river in Ahmedabad. It has also been appointed to develop 44 kilometres of riverfront along rivers Mula, Mutha and Mula-Mutha in Pune. Experts and non governmental organisations (NGOs) in Pune have already opposed this project and called it an impending disaster. The Pavana and Indrayani River Rejuvenation Project is currently in the concept and master planning stage. PCMC commissioner Shravan Hardikar stressed on the fact that the first stage of the project would deal with pollution, and beautification of the rivers would be done at the last stage. “Tell me what your questions are, and I will be your representative during this process. Under everyone's guidance, all the rivers’ problems like access, unauthorised development, pollution, and water hyacinth can be resolved,” he said. Hardikar shared that the plan would be made in a sustainable manner and also include biodiversity conservation. PCMC mayor Rahul Jadhav also encouraged people to share their suggestions. At the same time, he remarked that the “rivers wouldn’t have been so polluted if the environment department had done its job well”. During the presentation, HCP shared its solutions to clean the rivers, reduce the risk of flooding and erosion, create public access for religious and recreational purposes and make the rivers navigable. The solutions involved some natural methods, like using flora for treating water and planting native trees, and some artificial construction for flood control. The project is going to be executed on 24.4 km of the Pavana river and 20.6 km of the Indrayani river. However, environmental activist Sarang Yadwadkar’s questions about detailed studies were met with repeated negatives. HCP’s answers revealed that they do not know the total area that the project will cover, or the kind of environment clearance that will be required; they have also not estimated the cost of the project, and have not taken government circulars into consideration while making the plan. “A study by The Energy and Resources Institute (TERI) submitted to the Maharashtra government has found that rainfall in Pune will increase by 37.5 per cent by the year 2070. Have you taken this into consideration?” asked Yadwadkar. HCP had not. Other NGOs present at the meeting gave many suggestions. Jeevitnadi’s Shailaja Deshpande suggested that all the natural drains should be treated naturally and should not be concretised, and that green zones on the riverbank should not be disturbed as far as possible. Ravindra Sinha of Mission Groundwater recommended that a detailed hydrogeological survey of the entire PCMC area and its watersheds be done, since it’s an important parametre for any river rejuvenation project. Corporator Sandip Waghere suggested the use of CSR funds from the companies that are causing pollution in the rivers. The fear that the project would only look at cosmetically beautifying the rivers was apparent. Citizens also raised questions about how the actual sources of pollution like factories would be dealt with, how encroachments would be cleared, and how the project would proceed since the river has never been officially demarcated. HCP’s Kunal Patel insisted that the meeting was only held to share the preliminary concept of the project, and for inviting “positive” suggestions. “This was not the final proposal. We needed to get suggestions from people living here for several decades, who have known the rivers intimately,” he said. HCP also shared different ecological and technical solutions to make the rivers clean, reduce risk of flood and erosion, create a continuous public access, make the river navigable and improve land use. Patel was quick to add that the plan for the two rivers will be nothing like the Sabarmati riverfront development project. “No two rivers are alike. They need to be looked at individually. You will not see any concrete here,” he added.